* Hunters for generations believed cold air temperatures triggered the rut. 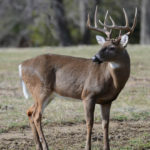 We now know the shorter day length and reduced amounts of sunlight entering the deer’s eye cause changes in the deer’s endocrine system and thus spur the onset of breeding. * Many hunters have long wondered why they’ve never found shed antler velvet in the woodlands. 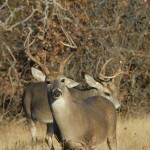 The reason is because bucks eat most of it, and what remains on the ground quickly disintegrates. 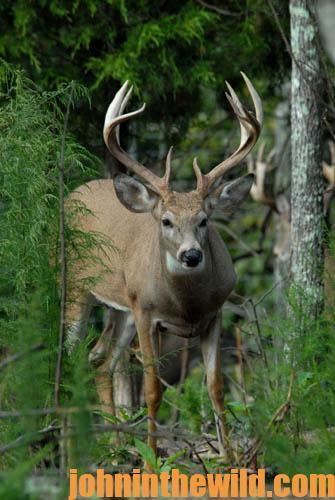 * The largest body weights ever achieved by whitetails are a 511-pound Minnesota deer taken in 1926, followed by deer weighing 491 pounds and another weighing 481 pounds – both from Wisconsin. * Laboratory studies of deer suggest their ability to smell is at least 10 times more acute than that of a human’s, and that they are able to separate and analyze seven different odors simultaneously. 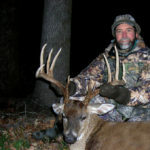 * The largest individual pellets are most likely to be from a buck, but New Jersey biologist C. J. Winand’s research reveals that a mature buck will leave a pile of 75 pellets or more. 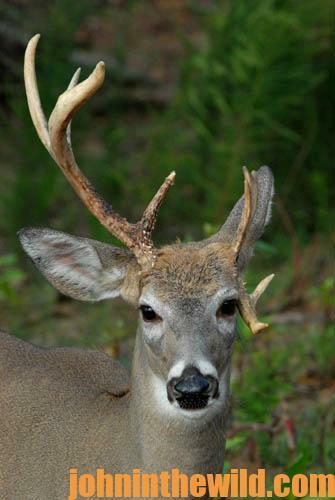 * The human eye uses binocular vision to look into the distance, but the whitetail eye uses wide-angle vision. 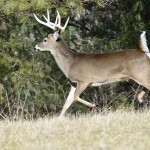 This is why we are less adept at spotting movement around the periphery of our visual scope than deer are. * One of the widest record book white-tailed buck rack ever taken is known as “Big Red.” Taken in Kentucky in 1982 by Dennis Nolen, the rack scores only 172-4/8 points but has an incredible 37-1/2-inch outside spread. * Does are far more likely than bucks to “flag” with their tails when running. The behavior enables the doe’s offspring to easily follow their mothers in dim light or when the mother is fleeing through thick cover. * Eons ago, when North America was largely swampy, deer walked flat-footed with five toes. As the habitat dried, the deer evolved. 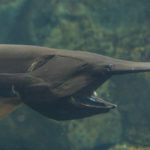 One toe entirely disappeared, two toes migrated to the rear and became “dew claws,” and the remaining two toes became hardened and pointed into hoofs. 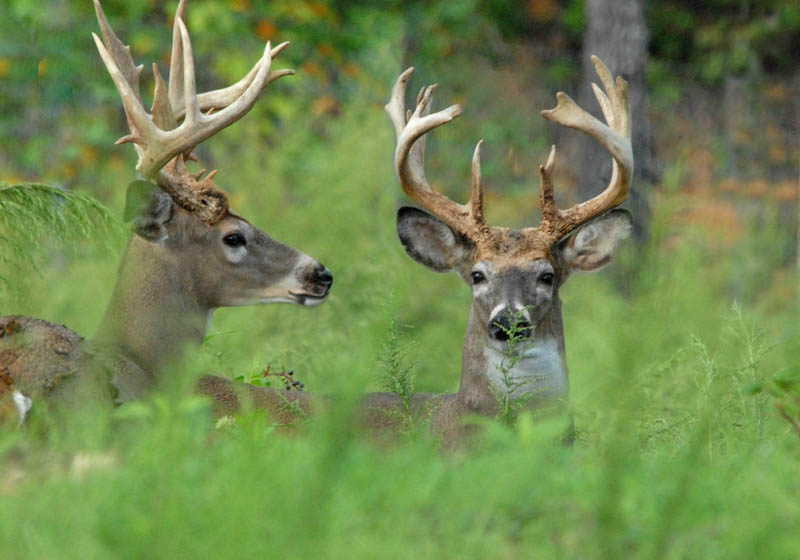 * Mature bucks deposit priming pheromones from their forehead glands on their antler rubs. 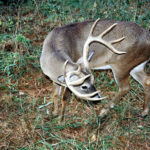 These pheromones induce late-estrous does into coming into heat and also chemically induce younger bucks into submission, so they are less inclined to attempt to breed. * Deer in some sections of the country feed heavily upon staghorn sumac in bitter-cold weather. They instinctively know the plant is high in fat content and helps generate body heat. 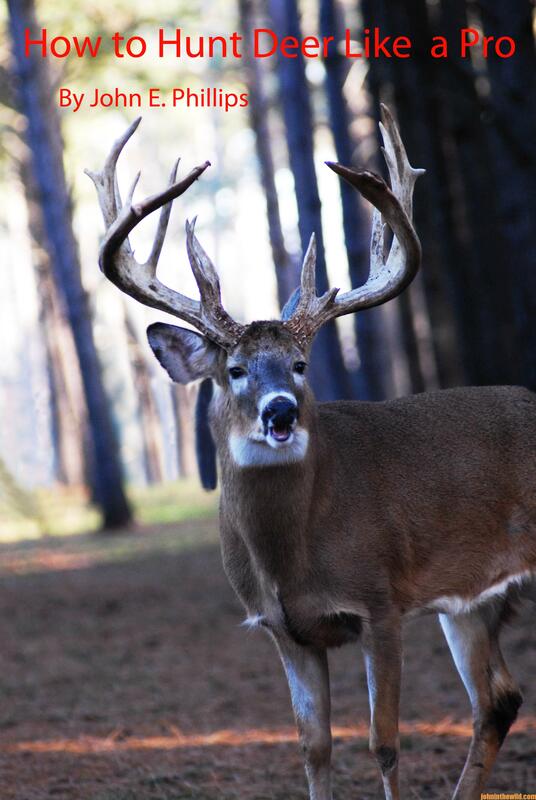 * Radio-telemetry studies have revealed the peak time for scrape re-visitation by a buck is 2:00 pm. 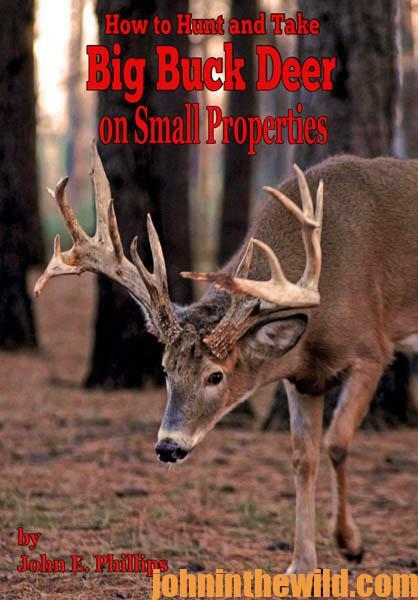 To learn more about hunting deer, get John E. Phillips’ book, “How to Hunt and Take Big Buck Deer on Small Properties, available in Kindle, print and Audible versions at https://www.amazon.com/dp/B00OOC2T0Y. Also look at John E. Phillips’s book, “How to Hunt Deer Like a Pro,” available in Kindle, print and Audible at https://www.amazon.com/dp/B007D3H08M.